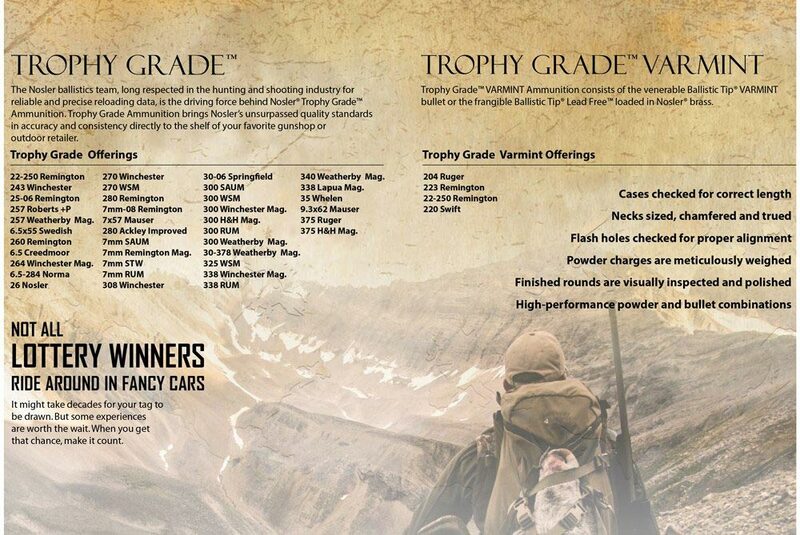 Trophy Grade Ammunition brings Nosler’s unsurpassed quality standards in accuracy and consistency directly to the shelf of your favorite gunshop or outdoor retailer. 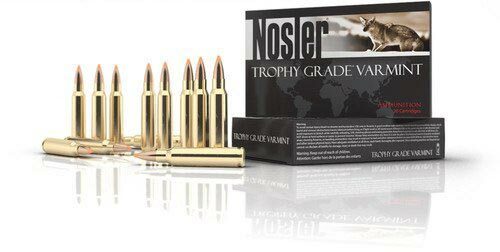 Trophy Grade™ VARMINT Ammunition consists of the venerable Ballistic Tip® VARMINT bullet or the frangible Ballistic Tip Lead Free along with Nosler® brass. Loaded with the new AccuBond® Long Range bullet, Trophy Grade™ Long Range ammunition is designed for hunters and shooters looking for high-performance ammunition loaded with an ultra-high B.C. bonded-core bullet. In accordance with sections of the NYSAFE Act, all online and/or direct consumer purchases of Nosler loaded ammunition unfortunately will no longer be accepted. 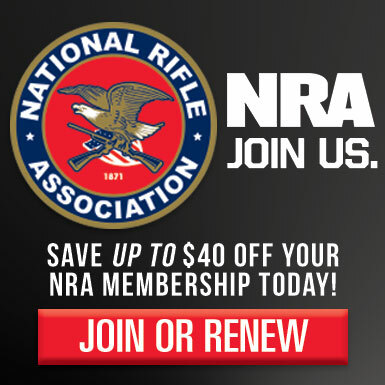 All future purchases must be conducted in person at a dealer holding a current federal firearms license or businesses that have completed the required registration through the New York Police Department. For questions regarding New York ammunition purchases, please contact us by clicking on the information tab above.